In August, my wife and I were given a gently used gazebo by our friends. We were thinking about getting one, so the price was right, and we were glad to go and pick it up from them! Well, 3.5 hours later, we successfully completed putting all the pieces together where they belonged. The photo gives proof. Now we just need to get it covered – a task which might get accomplished in the next few days. I figure that if I had had the assembly instructions, this task could have been accomplished in approximately half the time. But that extra time is a small price to pay for a free gazebo! It got me thinking, though, how human beings try to get through life without instructions. The old joke is that men never ask for directions, and that if Moses had asked for directions, the Israelites would not have wandered in the desert for 40 years! Yet even if we are willing to read a map (old school!) or input an address into a GPS and follow it, in an attempt to get to a specific place, we often are reluctant to follow instructions to progress in day-to-day living. Someone has said that the word “Bible” is an acronym for “Basic Instructions Before Leaving Earth.” I’m not sure it’s all that simple, but it’s also not all that complicated, either. If we want to put together a puzzle, we look at the picture on the box. If we want to put together a bookshelf, we read the (wordless) directions from IKEA. The manufacturer provides instructions that make the process better. That is, in part, what Scripture is for us: instructions provided by the manufacturer that make the process – of living – better. Struggling in life? Read the Bible – especially the Psalms, wherein you will find every possible emotional response to God – and let the Lord speak into your life through his Word. “How sweet your words taste to me; they are sweeter than honey. Your commandments give me understanding; no wonder I hate every false way of life. 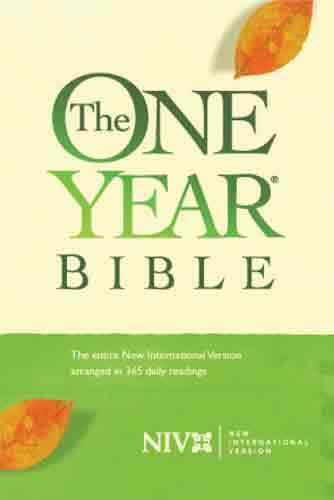 Your word is a lamp to guide my feet and a light for my path.” (Psalm 119.103-105, NLT). October 31 is an important day, but maybe not for the reason you think. Yes, October 31 is also the day candy sellers and dentists everywhere look forward to each year, but that’s not what I’m talking about. October 31 – tomorrow – marks a very important day in the history of Christianity. It was on October 31, 1517, that a young Augustinian monk named Martin Luther decided to post 95 ideas he had derived, as a result of reading the New Testament, for reforming the church from within. The idea was that other scholars would read what Luther had written, and there would be dialogue and debate about how to make these ideas work for the benefit of the church. However, some ordinary folks (read: not scholars) got hold of these ideas, because someone had taken them down and sent them to a printing press for wide dissemination. And when the ordinary folks got hold of these ideas, they ran with them, and went even further than Luther wanted to go. Thus began the Protestant Reformation, on October 31, 1517. Luther’s idea wasn’t to start a new church, but to make the Roman church better. And though Protestantism, and its many denominations, saw birth in the Reformation, there was good that came out of it for the Roman church, too, as it reformed from within. As you mark Reformation day tomorrow (perhaps with copious amounts of candy), think about the many matters that go through your mind, and on which you must make decisions. Then ask yourself, “What does the Bible say about this?” That will be an apt celebration indeed.